Today, the College of Charleston Board of Trustees voted to join the Colonial Athletic Association effective July 1, 2013. In response, the Southern Conference released this statement: "We're naturally disappointed, but not surprised, by today's decision. Public comments made it apparent that the College of Charleston administration favored this move. Successfully assimilating changes in membership has been part of the Southern Conference's DNA for more than 90 years. With the commitment and cooperation of our Presidents and Chancellors, we will continue to explore the best options available to us to ensure a successful future for our athletic programs and the student-athletes we serve." I do not fault Charleston's desire to move to a basketball conference, it's their premier sport, and many Charleston fans (and now the Board of Trustees) feel they should be in a conference of like minded schools. Just as ASU and GSU are seeking to move up in football to the FBS level, Charleston is seeking to move to a basketball concentric conference. The problem now, as I see it, with three schools either moving or about to move, what does the Southern Conference do about replacements? I'm afraid the conference commissioner is reacting to events, rather than being proactive to these same events. In my opinion, just as the CAA did, the SoCon commissioner should have announced his intentions publicly some time ago, and then pursued a set of schools that could have been ready and waiting to fill these positions. 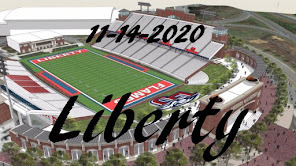 I'm afraid, that without a public plan in place, more SoCon schools might seek out other conference homes on their own, before the SoCon even approaches any potential replacement schools about these openings. What if, with these three schools departing, Davidson reconsiders their decision. Then, Elon and UNCG (or Wofford) decides to depart with Davidson? With those departures, maybe UTC and Samford decide that the OVC is looking pretty good now, and seeks re-entry. This could turn into a completely depleted SoCon real quick. Commissioner John Iamarino's lack of public action, just might result in his presiding over the death of the conference or at least to one that looks a whole lot like the Big South. However, maybe I'm wrong and lots of behind the scenes negotiations have already taken place with multiple schools. Wanna bet? It's basketball season, and head coach Larry Hunter takes over the "Cat Chat" feature. 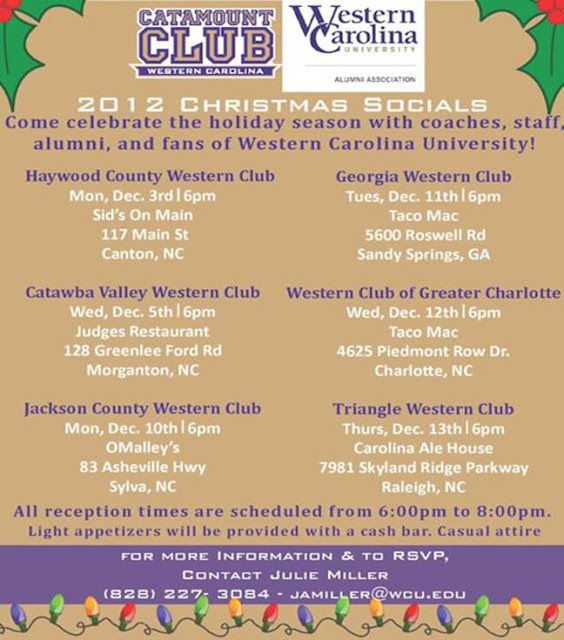 The November 27th edition of Cat Chat on Big Wise radio (ESPN 1310), with Catamount Head Basketball Coach Larry Hunter. Location: Alumni Coliseum (6,500) Richmond, Ky. The 2012-13 season is Jeff Neubauer’s eighth year as head coach at Eastern Kentucky University. The Colonels finished last season 16-16 overall and were picked to finish fifth in the Ohio Valley Conference East Division this season by the league’s head coaches. The OVC, like the Big South, is debuting its divisional format this season. Entering the game with Western Carolina, the Colonels are 6-0 and off to their best start since 2005. EKU currently is one of only seven remaining unbeaten mid-major teams. The Colonels, like the Catamounts, are a very good team on their home court. They have won 14 straight home non-conference games and are 37-7 under head coach Jeff Neubauer in such contests. So far this season, EKU won the Comfort Suits Invitational, which they hosted, beating Radford, Towson, Kennesaw State, and Cincinnati Christian. In other out-of-conference play, the Colonels defeated Norfolk State and Delaware State, all home games. Eastern Kentucky is led by junior college transfer and All-American junior guard Glen Cosey (6-0 / 182) with 18 ppg and senior guard Mike DiNunno (5-11 / 196) with 13 ppg. Overall, Eastern Kentucky is averaging 80 points per game, and has a .496 field goal percent average, along with an average of nine 3-pt field goals per game. The Colonels are a good free throw shooting team, at .752 percent average and also averages 11 turnovers per game. This game will be a challenge for the Catamounts, on the road, facing an undefeated team, large crowd expected. However, if the Catamounts play with the enthusiasm and determination they displayed in the second half of the Furman game, they will depart Richmond with a win. The Western Carolina Catamounts picked up their second straight win and improved their record to 3-4 overall and 1-0 in conference play with a 79-65 win over the Furman Paladins at Timmons Arena. This was the Southern Conference men's basketball opener for both schools. Trey Sumler put up a game-high 24 points with Tom Tankelewicz adding 17 points in the second half. Furman led in the rebounding category 40-32, and were able to capitalize on their rebounding edge with 11 second chance shots to the Cats five. Turnovers were major for the Cats, as the Catamounts forced 19 turnovers by the Paladins and were able to score 17 points off turnovers, along with 18 fast break points, giving the scoring edge to the Cats. On Saturday the Catamounts will travel to Richmond, Kentucky to meet the Eastern Kentucky Colonels at 7:30 pm. Courtesy WCU Sports Information - For the eighth straight year, Western Carolina women's soccer received the NSCAA (National Soccer Coaches Association of America) Team Academic Award with a 3.39 team GPA. The Catamounts were recognized as one of 504 programs who received the award from over 990 eligible from DIV I, II, III women's soccer programs. Western Carolina was ranked number two of the nine Southern Conference teams awarded this year. 1) Sum up your team since the last time you wrote about them. For the first conference action of the season, the Catamounts travel to Travelers Rest, SC to meet the Furman Paladins. In his seventh season at Furman, Jeff Jackson's Paladins were selected fifth in preseason SoCon polls in the South Division. The Paladins posted a 15-16 record and were 8-10 in conference play in 2011-12. Jackson returns eight lettermen of which five players started 10 or more games last season, led by senior forward Colin Reddick (6-9 / 240), who's averaging 14 points and 6.8 rebounds and senior forward Bryant Irwin (6-7 / 220) averaging 12 points per game. The Paladins are currently 2-2 on the season, with losses to Columbia and Clemson and wins over non DI opponents Southern Wesleyan and Brevard. In the Columbia loss, the Paladins shot just 31% from the floor for the night and made only one of their 17 three-point attempts. Colin Reddick paced the Paladins with 11 points and twin brother junior guard Charlie Reddick (6-5 / 185) put up seven points and seven rebounds. In the Clemson game, the Paladins were out-rebounded by the Tigers 31-24, and outscored 40-24 in the paint. Furman freshman guard Stephen Croone (6-0 / 170) hit 6-of-7 shots to lead the Paladins with a career-high 15 points. Senior forward Bryant Irwin added 14 points and Colin Reddick 13 points, seven rebounds and two blocks. No road conference game will be easy this season, but certainly this game is winnable for the Catamounts. I don't like getting into conference play this early in the year, but kicking off with Furman could provide the confidence booster the Cats need. Courtesy WCU Sports Information - Western Carolina redshirt junior point guard Trey Sumler picked up Cancun Challenge All-Tournament team honors on Wednesday afternoon following the conclusion of play in the Mayan Division. Sumler averaged a team-high 16.5 points per game in the two contests in Cancun, scoring a team-high 16 points in the loss to Austin Peay and following it up with 17 points against Howard. Sumler averaged 3.5 rebounds, 3.5 assists and two steals per game in Mexico. He finished 12-of-21 (57.1%) from the floor including 4-of-7 (57.1%) from beyond the arc and shot 83-percent from the charity stripe, 5-of-6. Gardner-Webb claimed the tournament divisional championship with a 72-62 win over Austin Peay. Tom Tangekewicz's free throws gave Western Carolina a 69-67 victory over Howard University on Wednesday afternoon in the Triple Crown Cancun Challenge. With one second remaining on the clock, Tankelewicz coolly sank two free throws to not only ice the game for the Catamounts, but helped the Cats shoot a season-high 80-percent from the free throw line. These 16-of-20 shots made from the charity stripe were the difference in the game and gave the Catamounts their first Cancun Challenge victory. Four Cats scored in double figures, Tankelewicz finished with 17 points and five assists, and junior post Tawaski King added 19 points. Trey Sumler hit 17 points with six assists and four steals, followed by Brandon Boggs with 11 points and three steals. The Catamounts were able to convert 19 Howard turnovers into 26 points, while the Bison were able to only convert 17 points off Catamount turnovers. Up next, Furman in Greenville, SC. The Cats only get one shot at the Paladins this year, so this will be a big game. This game, along with Elon at Georgia Southern, not only kick off conference play, but kicks off the battle of the north vs. the south in the SoCon. The Catamounts have one final opportunity to pick up a win in the Cancun Challenge. 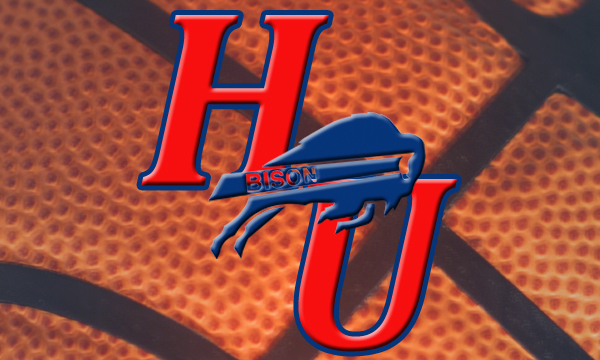 WCU will play the Howard University Bison, who have an equally poor 0-3 tournament record, and are 0-4 for the season. Game time is at 1:30 pm on Wednesday, Nov. 21, 2012. The Bison, of the Mid-Eastern Athletic Conference (MEAC), has dropped games to Iowa, Wichita State, and Gardner-Webb, all in the Triple Crown Cancun Challenge, while the Cats were dropping games to Wichita State, Western Kentucky, and Austin Peay in the same tournament. Howard also lost it's season opener to Division II Lincoln University. The Bison, have been plagued by injuries, and in the game against Gardner-Webb, played their second game without the services of senior guard and team leader Calvin Thompson and reserve center Oliver Ellison and reserve guard/forward Tre Lee. One of these two teams will leave Mexico with their first tournament game win, as well as, first Division I win of the season. Ordinary I'd say it would be the Cats, but they continue to find new ways to lose games, even those they should win. The Catamounts dominated the first half of the game over Austin Peay, taking a 12 point advantage into the locker room at halftime. However, two entirely different teams returned to the court after the break. The Governors, led by the hot shooting of Travis Betran (22 points) and Anthony Campbell (21 points), out scored the Cats 41-29 in the second half, and escaped with a 1 point win over the Catamounts. The Cats made a run with 3 minutes remaining in the game, and the Governors leading 70-62. Outscoring the Governors 9-2, the Cats had an opportunity to tie the game with 2 seconds remaining, but Sinclair's three point jumper bounced off the rim, and the Cats had to settle for 2 points on King's rebound and layup, with no foul called. One telling statistic, the Cats were only 3 of 8 in free throws made. While Austin Peay was 11 of 16 at the line. Better free throw shooting by Austin Peay, and twice the opportunities, sealed the Cats fate in this game. If Howard loses today against Gardner-Webb in the second game in Cancun, as expected, the only two teams without a Cancun Challenge win (both 0-3) will face each other. But, it's even better, one of the two teams in the tournament that don't have a D-1 will pick up that first D1 win on Wednesday afternoon. Howard will be 0-4, and the Cats are 0-4 (against DI teams) if these two team face each other. 1) Sum up your team since the last time you wrote. Just as Western Kentucky had their way with the Catamounts Saturday night, DePaul rolled past Austin Peay State University, 98-67, Saturday afternoon in second-round action of the Triple Crown Cancun Challenge, played at Allstate Arena in Rosemount, Ill. The Catamounts will now face Austin Peay Governors at 1:30 pm ET at the Moon Palace Resort in Cancun, Mexico on Tuesday, Nov. 20 in the third round of games in the Cancun Challenge. The Governors were picked to finish third in the Ohio Valley Conference's newly-formed West Division, trailing defending champion league champ Murray State and Southeast Missouri. Coming off a 12-20 season, the Governors had to replace four starters from last season's team. Guards Jerome Clyburn (6.3 ppg) and Herdie Lawrence (3.7 ppg), who shared the point guard duties last year will return, as will forward Will Triggs, who averaged 6.2 ppg and 3.9 rpg. Forward Anthony Campbell returns, but is coming back from a second ACL tear operation in two years. Campbell only played in 10 games in each of the last two seasons before suffering knee injuries, but hopes to end his career on a strong note this season. The Governors added a talented scorer in junior college transfer Travis Betran (guard) in the off season. APSU is currently 1-2 on the season, with a season opening home win over Samford (75-64) and two losses in the Cancun Challenge. The Governors lost to WKU (74-54) in the first round, and to the DePaul Blue Demons (98-67). Dave Loos serves as the head basketball coach, as well as the athletics director. Loos is the dean of Ohio Valley Conference basketball coaches, also is the longest-serving athletics director at his university-he currently is in his 14th year. Trey Sumler hit a season-high 25 points for Western Carolina, but Western Kentucky's T.J. Price and Jamal Crook each posted career highs of 26 points to lead the Hilltoppers past Western Carolina 92-81 Saturday night at the E.A. Diddle Arena. The Catamounts nearly matched the field goals of the Hilltoppers, making 26 shots from the field against 28 by the Hilltoppers. The difference in the game was WKU shot 51-percent from the floor to 45-percent for the Cats (including a meager 5-for-21 showing from beyond the 3-point line). WCU (1-3) completes the mainland portion of the 2012 Cancun Challenge with two losses and travels to the Moon Palace Resort in Cancun, Mexico, for two games in tournament play on Tuesday, Nov. 20 and Wednesday, Nov. 21. The Catamounts face Austin Peay at 1:30 pm ET on Tuesday afternoon. If the Catamounts win on Tuesday, they face the winner of the Gardner-Webb/Howard game at 4:00 pm on Wednesday. If the Cats lose on Tuesday they play in the 1:30 pm game on Wednesday against the loser of the Gardner-Webb/Howard game. Western Carolina will meet Western Kentucky on the basketball court for the first time in 27 years in the second game of the 2012 Cancun Challenge at the E.A. Diddle Arena (7,326) in Bowling Green, Kentucky. The Catamounts and Hilltoppers have met twice before on the basketball court, with WKU holding a 2-0 advantage in the series. Stretching back to last season, the Hilltoppers have won six straight at home, but dropped a road game to Southern Mississippi (64-67 in OT) back on November 10. Last Tuesday, WKU picked up a 20 point win over Austin Peay in their first Cancun Challenge game, which uppws their overall record to 1-1 on the season. Ray Harper is in his second season as head coach at WKU, having gone 16-19 last season with the Hilltoppers. The Hilltoppers were selected to finish third in the East Division of the Sun Belt Conference this season, behind Middle Tennessee and South Alabama. WKU returns four starters from last year’s squad, and returns six of its top seven scorers from 2011-12 team..
Senior Jamal Crook is the leading scorer for WKU, averaging 16.5 points per game, with sophomore George Fant putting up 13 points per game, and leading the team in rebounding in nine of the last 16 games. Sophmore guard T.J. Price has hit multiple three-pointers in 11 of the last 15 games. There is no television for Saturday's game, and live stats, live video and live audio are available on WKUSports.com. The November 13th edition of Cat Chat on Big Wise radio (ESPN 1310), with Catamount Head Football Coach Mark Speir. The Catamounts hit the road for seven-straight games, including four in the 2012 Cancun Challenge. First up, as part of the Cancun Challenge, the Cats visit Wichita State on Thursday, Nov. 15, then on to Western Kentucky on Saturday, before traveling to Cancun, Mexico on Tuesday, Nov 20th, for two games at the Moon Palace Golf & Spa Resort. Wichita State is a member of the Missouri Valley Conference (MVC), and was picked to finish 4th over all this season. Starting his sixth season at Wichita State, the Shockers are coached by Gregg Marshall, the former very successful coach at Winthrop University. Wichita State only lost six games during the entire 2011-2012 season, but the the top five scorers are gone from that team that won the MVC conference title and went to the first round of the NCAA tournament. Malcolm Armstead (6-0 guard, senior), who transferred from Oregon, will add experience and leadership. Armstead is a solid play maker and a good scorer while Fred Van Vleet (5-11 guard, freshman) is the Shockers point guard of the future and should see quality minutes as a freshman. Coach Marshall brought in a few junior college transfers to fill in openings, Cleanthony Early (6-8 small forward, junior) should be an all-around scorer. Nick Wiggins (6-6 guard, junior) will provide plenty of quality depth. As far as the newcomers are concerned, junior college transfer Chadrack Lufile (forward) is the likely impact player. At 6-9 and 240 pounds, Lufile will provide defensive depth. The player to watch is seven-footer center Ehimen Orukpe, who averaged just 1.3 points and 2.1 rebounds in under eight minutes per game last season. WSU is hoping for a big rise from Orukpe during his senior season. The Shockers will enter the game with a 2-0 record, after a 53-51 win over VCU on Tuesday night in Richmond. WSU opened the season with a 71-57 win over NC Central. This is potentially a very deep team and how quickly they can jell together and form a cohesive unit will make all of the difference. Later in the season, this could be a very good team. 1) Tell us about your team since the last time you wrote about them. Mars Hill will visit Western Carolina on November 11, 2012 at 7 p.m. in the Ramsey Center. Rick Scruggs is the first year head coach for the Lions. Last season the Lions had an overall record of 6-22 and a South Atlantic Conference (SAC) record of 3-15. The Lions and Catamounts last met on the basketball court back in 1992, with the Lions winning, 86-74 under then head coach, Greg Blatt. The Cats leads the series all time, 15-6, with the two first meeting in 1945. Mars Hill dropped an exhibition game to High Point 96-62 back on Nov. 3. Daron Guyton led Mars Hill with 18 points and Carter Wright finished with 12 for the Lions. Since becoming a NCAA Division I program in 1976-77. Western Carolina is 29-7 in the first home game played in Cullowhee. Veterans Day 2012 - Freedom Isn't Free from Patriots on Vimeo. The Catamounts won the night cap of the Asheville Collegiate Invitational which matched up two teams from the Southern Conference and two from the Big South Conference at UNC Asheville's Kimmel Arena. The Catamounts' 58-45 victory over Asheville evened the day's series that saw Charleston Southern defeat SoCon's UNC Greensboro by a narrow 60-57 final score. Western Carolina's Diamond Hunnicutt scored a career high 16 points with the Cats shooting 43 percent from the field, and hitting 11 of 17 from the free throw line. A good win and a great way to kick of the season for Karen Middleton's Catamounts. Two mountain rivals met in Asheville's Kimmel Arena Friday night. The Western Carolina Catamounts and the UNC Asheville Bulldogs, both wanting and expecting to come away with a season opening victory. Both teams were playing for the honor of their conference in this battle between the Southern Conference and the Big South Conference. Tonight, it was the Big South that prevailed. While both teams were picked to finish the season third in their respective division, the Bulldogs played anything like a third place team. Asheville's lone returning starter from last season's Big South Championship team, Jeremy Atkinson, lead all scores with 24 points, 11 rebounds and 3 steals. Conversely the Catamounts played like a team that would battle for even a fifth place finish in their division. The Bulldogs walked away with their third straight home win over the Catamounts in games played in Asheville, the final score was 71-61. The rest of the Bulldogs were almost as efficient Atkinson, as they out-shot the Catamounts in field goals, 46% to 32%, as well as, out scoring the Cats 46 to 28 points in the paint. While the Cats did edge out the Bulldogs in 3-point shots, making less than a stellar 7 of 25 attempts, (the Bulldogs were even worse in threes, going 0-7 on the night), but the points scored inside by the Bulldogs were more than enough to give the dogs a victory. The Cats were hampered by personal fouls all night, but especially in the second half of the game. Boggs fouled out, while Ross, King, Sumler finished the game with 4 fouls each. The Cats committed a total of 25 personal fouls, 15 coming in the second half. The lack of senior leadership was very apparent, as well as, the lack of height, and the poor free throw shooting that continues to plague Catamount basketball teams. Seniors Rock Williams, Conner Orr and junior Clark Sechrest were named to the Capital One Academic All-District III team by the by College Sports Information Directors of America (CoSIDA). District III is comprised of all Division I Football FBS and FCS schools in Florida, Georgia, North Carolina, South Carolina and Virginia. 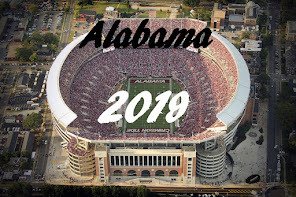 To be eligible a player must have completed at least one full calendar year at the nominating institution, have a cumulative grade point average of 3.3 in the classroom and be a starter or key reserve on the field, having participated in at least 50-perent of their team's competitions. These three selections are the most from a single school in the Southern Conference, Appalachian State and Chattanooga both had two players named to the all-district team. Western Carolina is picked to finish third in the SoCon North. UNC-Asheville is picked to finish third in the Big South South Division. Let's start with the implications to the two conferences. These two conferences are fairly closely ranked in the power conference rankings. They need to win all the head-to-head match-ups that they can against each other. This is an important showdown on the head-to-head front between the two conferences. The SoCon hates to admit how close the Big South has come to them in recent years. Coach Hunter discusses this season's Catamount Basketball team and the game with UNC Asheville on Friday night that opens the season in Kimbell Arena on the campus of UNCA. According to Steve, the series between Western Carolina and UNC Asheville started back in the 1964-65 season, when Henry Logan was a freshman at WCU. Both schools were District 6, NAIA foes at the time, and UNCA was then known as Asheville-Biltmore College. Junior punter/kicker Clark Sechrest has been named the Southern Conference Student-Athlete of the Week for November 7, 2012. Sechrest punted five times last Saturday for an average of 50.6 yards per punt in the home finale against Chattanooga. Sechrest also recorded three kicks of 50-yards or more including a career-long punt of 58 yards. He finished a perfect 3-for-3 on PATs and kicked a 36-yard field goal, recording six points on the afternoon for the Catamounts. Congratulations to Clark Sechrest from the Purple & Gold. The November 6th edition of Cat Chat on Big Wise radio (ESPN 1310), with Catamount Head Football Coach Mark Speir. This week, two games were picked by the Scanning the SoCon crowd for top game of the week. The two games were either Western Carolina's trip to UNC Asheville or Elon's trip to Butler. So, which game did I select as the game that will get extra breakdowns this week? Look for a preview coming Thursday and a recap coming Friday. SouthernPigskin.com has selected Western Carolina's Clark Sechrest as their Steak 'n Shake Southern Conference Special Teams Player of the Week. The Cornelius, N.C native punted five times for 253 yards, downing two kicks inside the 20-yard line, and kicked a 36-yard field goal in the Catamounts' 45-24 loss to Chattanooga. Purple & Gold congratulates Clark Sechrest on his selection. Karen Middleton's 2012-13 Catamounts will open their season against the UNC Asheville Bulldogs as part of the Asheville Collegiate Invitational. The 4:30 p.m game on Saturday Nov. 10 will be regionally televised by WMYA (Channel 40). Asheville's first-year head coach Brenda Mock Kirkpatrick's Lady Bulldogs returns four starters and 10 letterwinners from last year's team including center Kelli Riles who finished 12th in the nation in rebounding; sophomore guard Shonese Jones who earned Big South Freshman of the Year honors; and sophomore forward Leah Wormack who made the Big South All-Freshman team..
A big concern for Coach Kirkpatrick early in the season is injuries, especially in the backcourt. "We've got to get healthy," said Kirkpatrick at the Big South media day. "We have Grace Blaylock and Brittany Gwyn out at the start of practice and that really hurts our perimeter presence. Hopefully, we can get both of them healthy once the season starts and that will make a difference." At least four will answer a series of questions on their team and around the SoCon. In this first week, we will have everyone answer the questions and do a full preview of the SoCon, including Player of the Year, conference predictions, and a preseason All SoCon team. Others Receiving Votes: Mike Groselle (The Citadel) 5, Trey Sumler (Western Carolina) 3, Jake Isenbarger (Elon) 1, Trent Wiedeman (College of Charleston) 1, Karl Cochran (Wofford) 1. 1) Who is your preseason player of the year? Why? The Catamount golf team rallied from 6th place in day two of the Hummingbird Intercollegiate held at the Country Club of Sapphire Valley to finish the tournament tied for the runner-up spot with Belmont. The Cats turned in the lowest team round on Sunday, but it was not enough to over come the lead established by Samford in day one of the event. The Bulldogs won the tournament with a with a two-day score of 570. Tyler Lail, lead the Catamounts by twice shooting career-low rounds of 71. Senior Kyle Wilson matched Lail's final round and advanced into a five-way tie for 14th for the tournament, while sophomore J.T. Poston carded a team low shooting a two-under, 69. Senior Kyle Wilson matched also matched Lail's final round even-par, advancing nine spots in the finishing order. Congratulation to the Catamounts on a very successful tournament. Eric Johnson (Football & Baseball, 1995-99), Laura Tieszen-Kamarainen (Women's Track & Field, 2002-05) and Bill Stanley (Football, 1964-69) were inducted as the 23rd class into the Western Carolina Athletics Hall of Fame on Saturday morning, November 3d, prior to the final home football game against the UT Chattanooga Mocs. Congratulations to each from Purple & Gold. Personal: Is the son of Kimberly Browning. Each day from October 23-November 3, there has been a basketball blogger/fan previewing their team in this space. Today is the final preview, and my thanks to John of MocsMania! for making this possible. 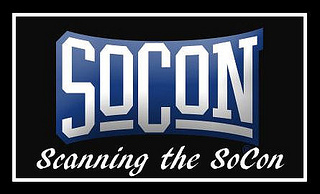 Tomorrow, week #1 of Scanning the SoCon will be published, and you can find it right here. Coming off one of the worst season in program history, the Mocs are looking to start over. They were 11-21 last year with four senior starters and one other senior on the roster. It all started falling apart early in the year, though. The team played fairly well at Indiana and at Butler, before the horrendous collapse at home against Kennesaw State told us that these Mocs may not live up to expectations. Chris Early was suspended permanently, and the Mocs went on a run. They won seven out of nine games to get to 9-9 overall. Things were starting to look up. Then, the injury bug hit, with plenty of people being injured. They lost twelve of their last fourteen games- including a remarkable 0-7 in games decided by less than six points during that stretch. The first returnee to focus on for the Mocs is Coach John Shulman. There was a lot of pressure to make a change at the end of last season, but the athletic department chose to stick with Shulman for his ninth season. His tenure has been often plagued by fans calling for his head following a disappointing season, and successful seasons when the expectations are down. Notes: Two-sport athlete that plays for the WCU football team and is expected to join the men's basketball squad after the season. Prior to Western Carolina: A three-year football starter, became the 27th different quarterback in state history to eclipse the 6,000-yard passing mark in his prep career, finishing with over 7,557 yards and 97 career TD passes ... Broke Cleveland County's career record for passing yards ... Guided Burns High to back-to-back South Mountain Athletic Conference (SMAC) championships en route to the 3-A West region championship game ... Amassed 2,225 yards and 24 touchdowns as a senior, adding 682 rushing yards and 13 TDs on the ground ... Selected to the second team offense of the All-Region team by the Charlotte Observer ... Played in the North-South Shrine Bowl ... Earned PrepInsiders.com Player of the Week in mid-September of his senior year after throwing for 163 yards in a win over Q Foundation which put him over 6,000 yards passing for his career ... As a junior, threw for 2,827 yard and 39 touchdowns, slightly better than his 2,638 yards and 34 touchdowns as a sophomore earning SMAC Offensive Player of the Year plaudits. "Western Carolina men's golf and the Country Club of Sapphire Valley host the Hummingbird Intercollegiate, November 2-4 in Sapphire. Western Carolina wraps up the fall portion of its 2012-13 schedule by hosting the 36-hole, stroke play event, welcoming 12 other teams to the resort town for the three-day event. It is the sixth-consecutive year - and seventh time overall - that WCU and the Country Club of Sapphire Valley have hosted this intercollegiate golf tournament. Four other Southern Conference schools return to the southern mountains of Western North Carolina including Appalachian State, Elon, Samford and Wofford. Others include Army, Belmont, Colgate, Francis Marion, Gardner-Webb, Guilford, High Point and IPFW to round out the competing teams. The 2012 installment of the event gets underway with a practice round on Friday, Nov. 2 with the two, 18-hole rounds slated for Saturday, Nov. 3 and Sunday, Nov. 4. The event is open to the public with free admission. Fans can follow all of the action from the 2012 Hummingbird Intercollegiate with live scoring through www.GolfStatResults.com." "What a great partnership we have and an honor to be able to host a collegiate golf tournament at a facility as great as the Country Club of Sapphire Valley," said WCU head men's golf coach, Carter Cheves. "It truly is a privilege for both our men's and women's programs to be able to use this course for practice, and is just amazing in the job everyone at the course does in helping us host a first-class tournament." Cheves added, "The grounds crew always has the course in perfect condition. The membership comes out to volunteer and really supports all of the teams. The Country Club of Sapphire Valley is a great venue for college golf and we are lucky to be able to call it home." Each day from October 23-November 3, there will be a basketball blogger/fan previewing their team in this space. This time last year the Cougars faced big adjustments. Redshirt senior Antwaine Wiggins, the last remaining member of Coach Bobby Cremins’ first recruiting class, was asked to lead a team of young players who had only seen limited roles to that point. Quickly the Cougars overachieved, winning nine of their first ten games including victories over Clemson and Tennessee. Things seemed to be going good but quickly turned sour once conference play began. The team looked ill-prepared on the court, star freshman Anthony Stitt broke his hand and things culminated with Bobby Cremins taking a medical leave of absence before eventually retiring. Now the Cougars are lead by former Tulsa head coach Doug Wojcik and a brand new staff. The playing style of this team is still a big unknown but Wojcik has expressed defense, rebounding and post play as key components of the team’s system. How steep of a learning curve the players face is still up for debate; but one of the reasons Wojcik took this job was because this team is built to contend right now. There’s a new face at the end of the bench but expectations are still high for the College of Charleston. Personal: Is the son of William Brummitt, III and Carla Thornton. The Georgia Southern Eagles are coming off the second largest turnaround in Southern Conference history and find themselves looking to build off the momentum gained from last season. After winning only one conference game in the 2010-2011 season the Eagles finished with a 12-6 conference record in 2011-2012, barely missing 2nd place in the South Division. Georgia Southern found themselves above .500 in March for the first time since the 2007-2008 season when they beat UTC in the first round of the SoCon tournament to improve to 15-14. It was also the Eagles first SoCon tournament victory in seven years. For good reason there is plenty of optimism around Statesboro that the Eagles can take things to the next level in coach Charlton Young’s fourth year despite losing senior starters Willie Powers (10.8 ppg, 5.4 ast, 4.0 reb) and Ben Drayton (11.9 ppg, 3.0 ast, 1.6 stl) to graduation, as well as rising Sophomore center Tyrone Brown (2.4 ppg, 1.2 rpg) who was dismissed from the team over the summer. Georgia Southern returns 7 players who were a part of the rotation last season and adds four newcomers this year. The core of the team will be the highly praised junior class that Coach Young brought in two years ago. The five players from that class have combined to play 278 games, with 145 starts, and over 6000 minutes in their first 2 years on campus. This is the year that Eagles fans hope the growing pains of the past two years start to pay off. Prior to Western Carolina: Finished his high school career as Enterprise High's all-time leading scorer with 2,322 career points, boasting a 16.0 point per game average .... He is the all-time leading scorer in Alabama State 6-A history - 16th best in state history at all levels - while also ranking fourth best in career free throw percentage (87%), seventh-best in single-season free throw percentage (88%) and eighth-highest career 3-point percentage (38%) ... Guided Enterprise HS to a pair of region championships under the tutelage of head coach Kenny Hill ... Also topped his high school's career charts in steals and assists, averaging five assists and 3.5 steals per game ... Was the first eighth-grader to play on his varsity team at Enterprise, and was EHS's first ninth grader to make the 6-A South Regional All-Tournament team - an honor he also earned as a junior ... Was a three-time, Wiregrass Super 12 selection - as chosen by the Dothan Eagle newspaper - and was twice selected to the 6-A All-State team ... Was also a two-time, 6-A Area 5 most valuable player ... In addition to his prowess on the hardwood, Harrelson is also a career-leading football player for the Wildcats boasting a school-record 4,683 career yards including 3,433 yards through the air and 36 combined touchdowns ... A four-year starter, he also owns the school's single-season passing mark as well ... Played alongside fellow WCU signee, Justin Browning, with the Alabama Celtics AAU team. Personal: Is the son of Rick and Connie Harrelson.